Founded in 2016, bedding brand Silvon Home aims to offer sleepers “the cleanest sheets they’ll ever own.” How do they intend to do that? Well, by weaving pure silver into the fabric, of course! And what does silver have to do with clean sheets? Well, you’re about to find out. 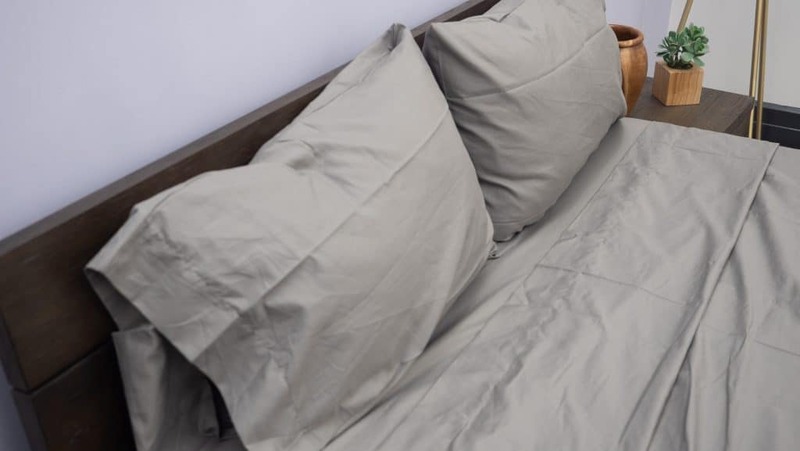 In this review, I’ll be taking a (very) close look at Silvon’s sheets so we can get a clear idea of what they’re made of, how they perform, and what sleeping on silver-based bedding actually feels like! Silvon sheets are made of a combination of organic cotton and silver yarn, which helps to make them antimicrobial. Be sure to use the code SLEEPOPOLIS-10 or click this link to save 10% on your Silvon purchase! Click Here to Save! Click Here to Save! WHAT ARE SILVON SHEETS MADE OF? Silvon’s sheets are woven from 93% long-staple organic cotton, and 7% XT2 Silver Yarn. Yeah, I said it. Silver. Now, the long-staple cotton used in these sheets offers a super soft and durable feel, and the fact that it’s organic might particularly appeal to eco-friendly sleepers (and those with sensitive skin). Typically, longer fibers (commonly referred to as staples) yield a higher quality fabric as compared to sheets woven from shorter fibers. P.S. The word “fiber” refers to the type of material being used to weave fabric. Fibers extracted from cotton & bamboo plants are two popular examples! Shorter cotton fibers have the potential to produce a less durable sheet that’s more susceptible to pilling. Luckily for us, bedding brands that do employ long or extra-long staple cotton are very likely to advertise it (on packaging, the websites, etc.) as this information has increasingly become considered more important than thread count. Speaking of thread count! 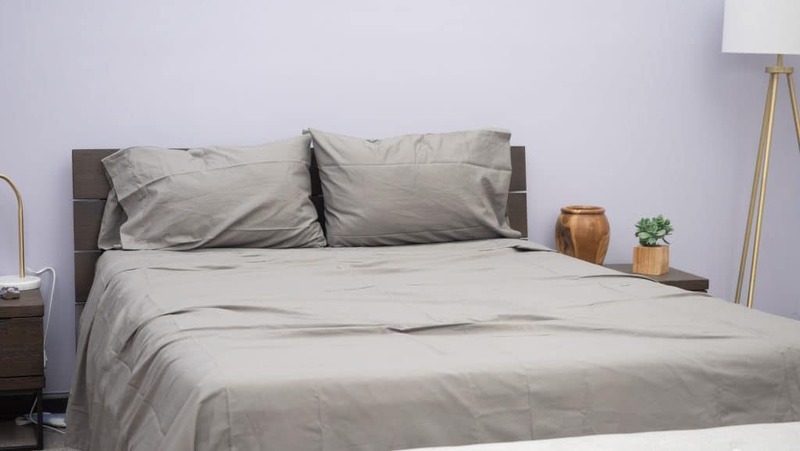 These sheets feature a 300 thread count and a sateen weave which the folks at Silvon say is meant to offer a great balance between softness, breathability, and durability. In general, sateen woven sheets are silkier in feel and are a bit less breathable as compared to percale bedding. However, while these do feel silky and smooth in a way that’s characteristic of sateen, they also feel pretty lightweight! So, I’ll be curious to see whether or not they keep me cool. Each sheet set comes complete with two pillowcases, one top sheet, and one fitted sheet capable of accomodating mattresses up to 16 inches. So, these super deep pockets might be particularly beneficial to those with thicker mattresses. I’m testing the set in grey, but they are available in white as well. In my opinion, the light grey color kind of enhances the whole silvery vibe, so I think I prefer the grey to white! My first impression of these sheets is that they are super soft and smooth, but I’m very eager to get a better look at how they perform! So, let’s take a closer look at how they feel, shall we? HOW DO SILVON SHEETS FEEL? You’ll probably be glad to know that you cannot actually feel the silver in these sheets. According to the folks at Silvon, the silver thread feels a little coarse (not something you’d want to sleep on by itself). However, by blending it with long-staple, soft cotton, the silver becomes undetectable. True to a sateen weave, these sheets feel very smooth and silky to the touch. 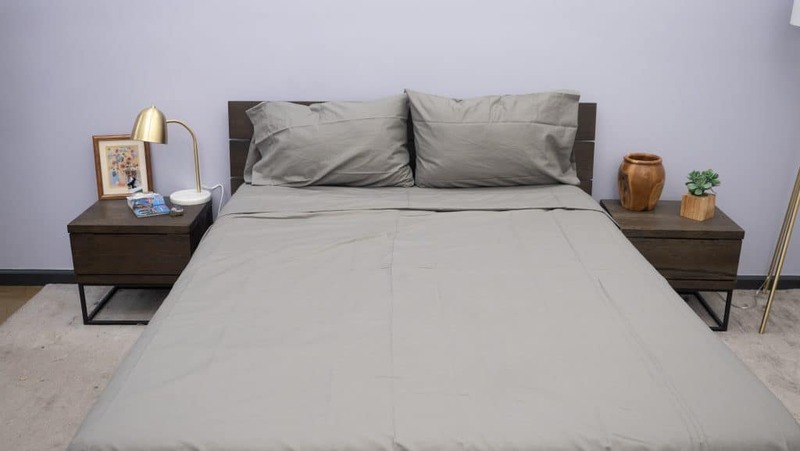 Additionally, the long-staple cotton provides a strong, durable feel that gives me the impression that these sheets will last a good, long while. These sheets are surprisingly lightweight and cool to the touch, as well. 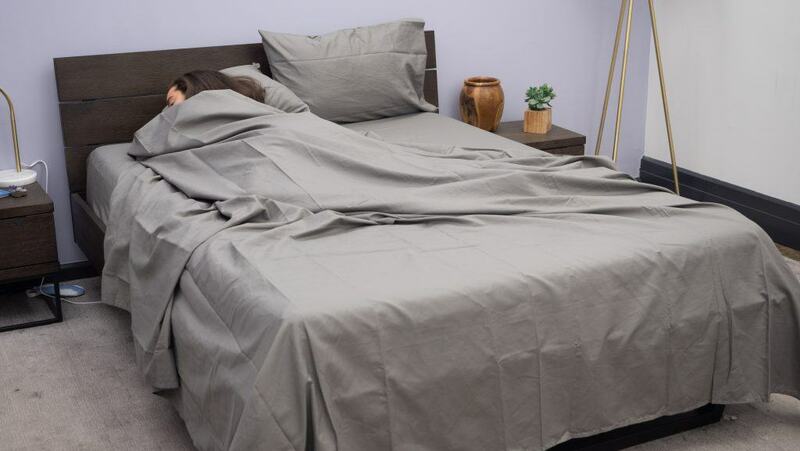 In my experience, sateen woven sheets are often less breathable, and ultimately less cooling. However, as I dressed the mattress with these sheets, I could feel the air flowing through the fabric, and I definitely got the sense that these sheets would keep me cozy and cool. While sateen woven bedding usually offers a lustrous sheen, these sheets are rather matte in appearance. Despite their lack of luster, they still feel silky-smooth — but they actually look a little like percale. Personally, I found this blending of percale and sateen traits to be kind of inviting. However, if you prefer your sateen sheets to look as silky as they feel, it’s worth noting that these sheets are not shiny. As far the self-cleaning properties are concerned, I think I’d have to roll around in these sheets for a week or so before I could really put the antimicrobial qualities to the test (so stay tuned for an update!). However, I will say that they do offer a very clean, smooth, and livable feel. Needless to say, I was pretty excited to see what Silvon’s sheets are all about. Having never tested silver-based bedding before, I was a little worried that the material might feel coarse or just… strange. But what I found actually surprised me! When I first took the sheets out of the package, I immediately noticed how cool they felt. They offered this very smooth and inviting feel, and when I billowed the top sheet over the bed, I could feel some great airflow. Like I said, sateen bedding is usually heavier and less breathable as compared to percale — but these felt super light and airy. That being said, I do kind of wish these sheets draped over my body and the mattress a bit more. Because a sateen weave usually produces a heavier sheet, sateen bedding often provides a body-conforming drape that sort of silhouettes your shape in an elegant way. In fact, some sleepers (myself included) find this to be a big basis of appeal when it comes to picking the perfect bedding. So, it’s worth noting that the light, airy nature of these sheets kind of detracts from that draping effect. As a hot sleeper, though, I have to say I was very impressed with how cool this bedding kept me. After rolling around in bed, I never felt like Silvon’s sheets were causing me to warm up or make me sweat. Instead, it served to keep me cool, dry, and feeling fresh. I have a feeling that this cool, moisture-wicking ability only serves to complement the antimicrobial properties of these sheets. Meanwhile, the fitted sheet did a good job of staying snugly put on the mattress despite all of my tossing and turning. I’m a bit of a restless combo sleepers, so it’s important for me to know that a fitted sheet is not going to slip off the mattress (no matter how much rolling around I do). I tested these sheets on a mattress that’s about 13 inches deep, so the fitted sheet actually had a bit of fabric to spare. If you’re lucky enough to sleep on a mattress that’s 16 luxurious inches deep, you’ll be glad to know that this fitted sheet should have no problem accommodating that. Ultimately, I was pretty impressed with these Silvon sheets. They feel smooth, durable, cool, and super lightweight! I bet they’d be perfect for the warmer seasons (and not just because we’re all extra-sweaty and dirty in the summertime!). The Verdict: I heartily recommend these sheets to hot sleepers who love the silky-smooth feel of sateen, but prefer the light, airy nature of percale! SHOULD I TRY SILVON SHEETS? Alright, sleepers. Let’s recap this bedding’s highlights so you can decide whether or not this sheet set is the right fit for you! Silky & Smooth — Thanks to the long-staple cotton and sateen weave, these sheets offer a very smooth and silky handfeel. Light & Airy — These sheets a light, breathable, and cool to the touch. Sleepers who run hot might be especially compatible with Silvon’s bedding. Organic & Antimicrobial — The cotton used in these sheets is certified organic, and the silver that’s woven into the fabric offers antimicrobial properties. So, sleepers with allergies or sensitive skin might be especially fond of these sheets. No Luster — Sateen bedding often features a lustrous sheen, but these are more matte in appearance. 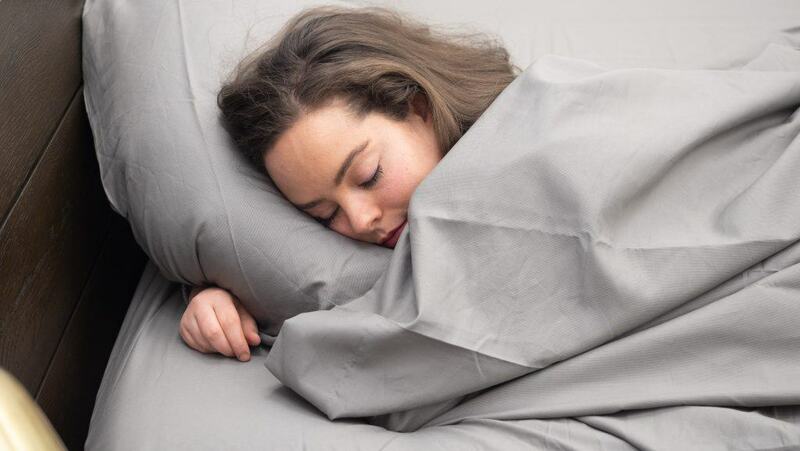 Sleepers who prefer their bedding to be shiny should take this into consideration! Less Draping — Because these are light and airy, these sheets offer less of that body-conforming drape that often comes with sateen woven bedding. Not Warm — If you’re looking for warm and cozy sheets, you might want to look elsewhere. These are lightweight and cooling! Origin — The cotton is from California, and the silver yarn made in the USA. The sheets are woven and sewn in India. Bundles — Silvon offers pillowcases and duvet covers that can be purchased separately, or bundled into one order. 30 Night Trial — If you’re not sure these sheets are for you, you have 30 days to test them out. If you don’t like them, send them back for a full refund!